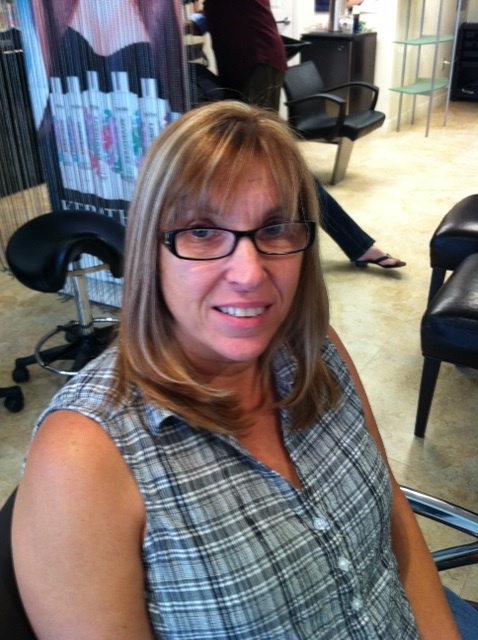 Joyce is a great client that has naturally blonde hair. She came in yesterday wanting to get her hair ready for Summer, so I first touched up her base to cover Joyce’s whites then followed that by distributing blonde highlights with some strawberry blonde lowlights throughout her hair. 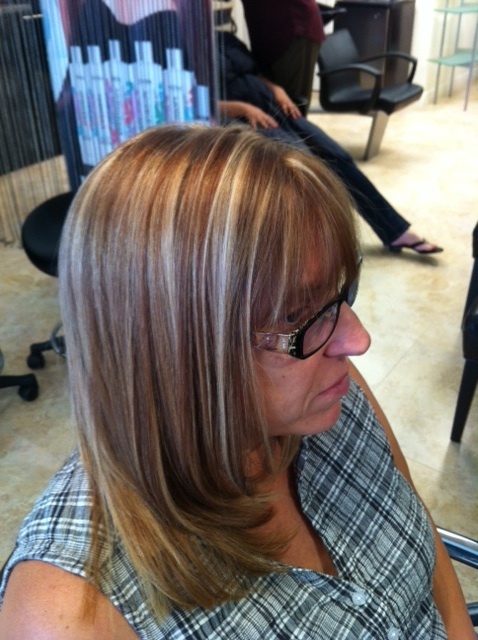 I took Joyce from one unified color to a blonde that hair dimension. 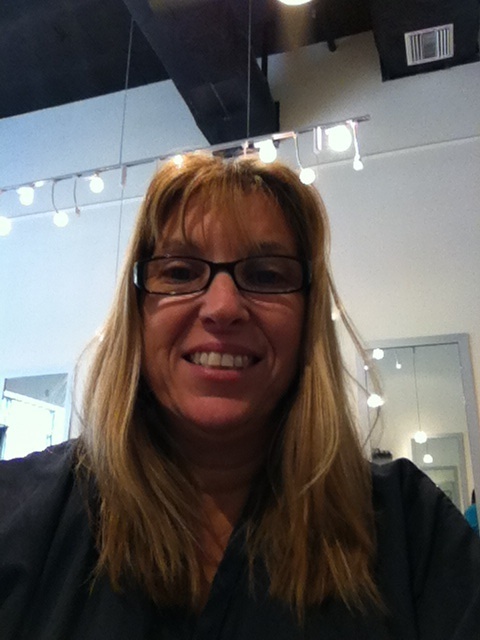 Check out her before & afters. What do you think of her new color? Meet Jessie. Jessie is a client of mine who got married today. Not only is she a client, but her now husband also happens to be a friend of my husband’s, so when I got the call to do her hair and makeup for the marriage I was so excited! Jessie is naturally beautiful, so we stuck with very natural tones to avoid overdoing it. 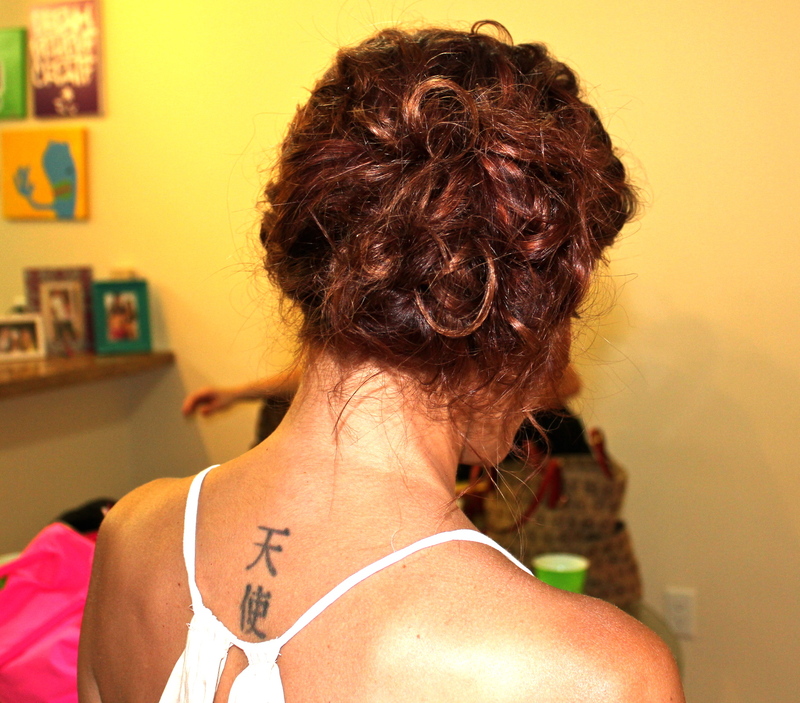 She wanted her hair up, so I curled it and then took it up in a side bun (which you can learn how to do yourself on my YouTube channel). 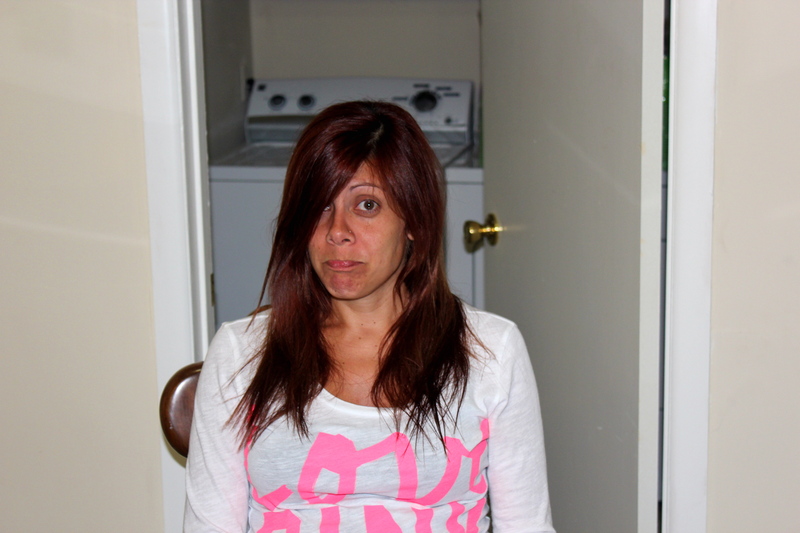 Check out Jessie’s before and after pics below (how fun is her before pic?!!). What do you think of the finished look? Clients ask for change everyday, most coming with pictures of celebrities to give us, what I like to call, “hair inspiration”. 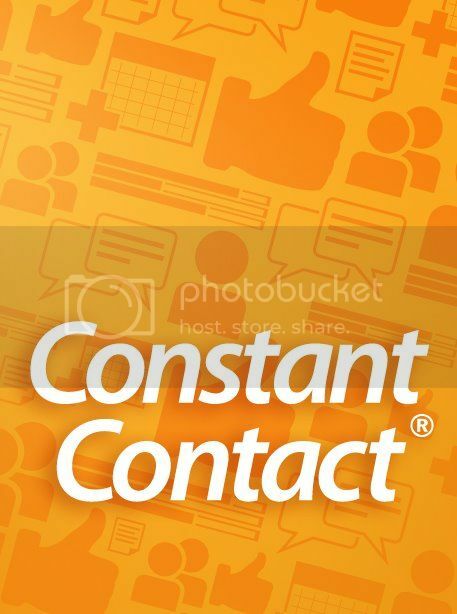 Communicating what works best for the client is one of the most important parts of my job, especially since I like to make sure the client leaves happy every time. 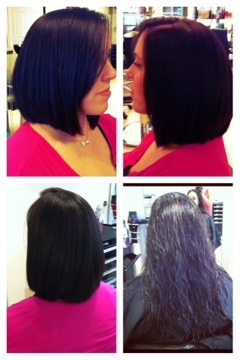 Victoria came to me recently with long curly hair and wanted to chop it short and straighten it. 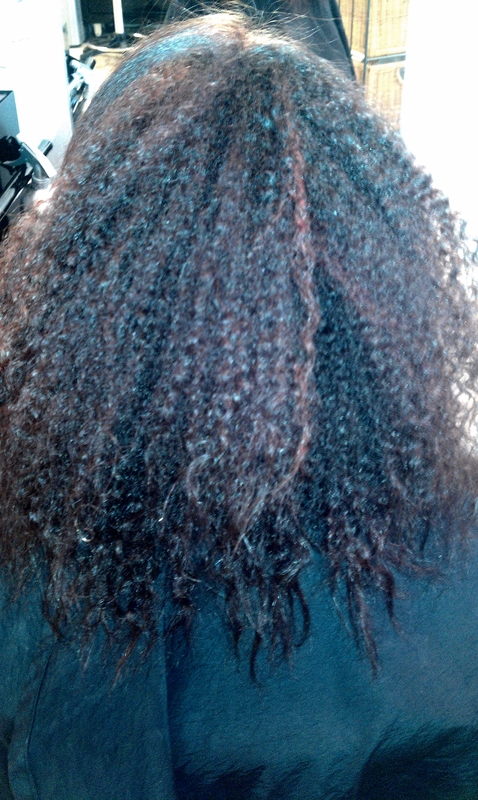 To help style her hair and loosen her curls we decided to do the Keratin treatment. The Keratin treatment gives her smooth, frizz free hair, that not only allowed us to style and cut her hair, but helped to give her the exact look she wanted to leave with! With her new look Victoria is completely ready for the summer! Especially since she’s a busy mom of 2 year old twins! I love her new, low-maintenance look! What do you think? Meet Khadijah. Saturday was prom for the local high schools and boy was it a busy day! 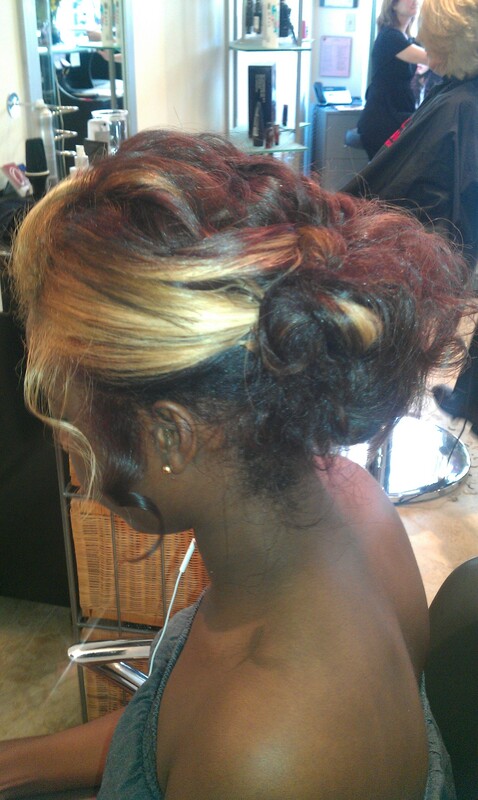 Khadijah came to me on Saturday looking for an updo that was messy and had a lot of texture! Her hair is naturally very curly and frizzy, but I did not let that scare me. I decided to blow dry her hair straight, and then curled her hair with a curling iron. 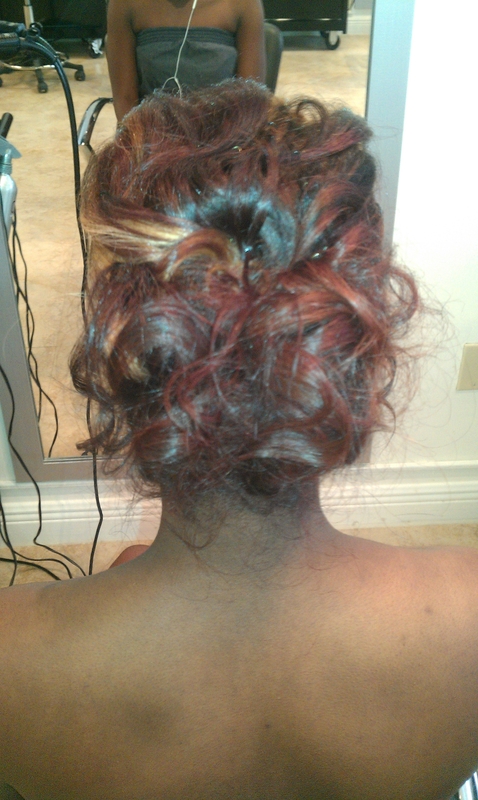 Once her hair was curled, I then molded it into a messy bun. Khadijah was so happy with her style and I have to say, so was I! Take a look at Khadijah’s before and after pics. I also included the picture that Khadijah came in with for inspiration. What do you think? Do you think I achieved the look? If you have really curly hair or straight hair don’t be afraid to try different looks. Changing your look is a great feeling! If you’re interested in booking me to change up your look for you, be sure to check me out at www.hairbyzaklina.com where you can find my pricing, links to my social media sites, and book an appointment with me!